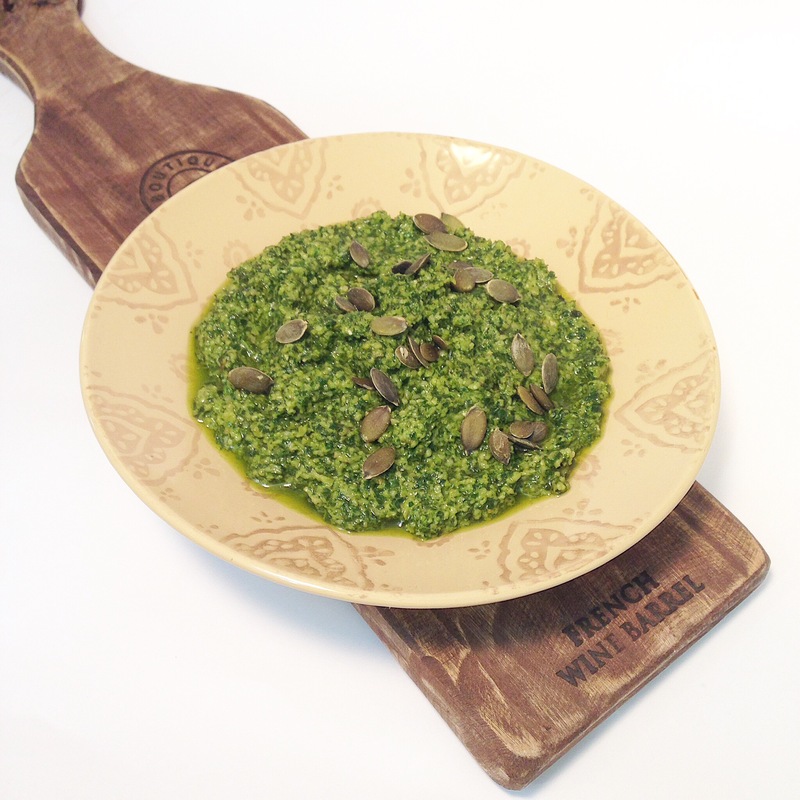 This is my dairy-free version of pesto (traditionally you would add parmesan,) and using a combination of cashews and sunflower seeds makes it more economical. If you have pine nuts, feel free to use them! If you have a nut allergy you could replace the nuts with more seeds. This will keep in a jar in the fridge for about a week, or you could make a big batch when you have lots of basil and freeze it in smaller portions. I often freeze sauces in an ice tray, and then put the cubes into a freezer bag. That way you can just defrost a few cubes at a time, instead of the whole lot. I’ve given alternatives in case you feel like a change, or if you don’t have the correct ingredients on hand. I like my pesto chunky so I make it in a food processor, but you could do it in a blender if you prefer it smoother. Simply throw in all the ingredients and pulse until you have the desired consistency. As with all our dips & sauces, taste for seasoning and adjust if necessary to the way you like it! I find that this makes the perfect consistency for using as a dip or spread, but if you want to use it as a sauce for gnocchi for example, add a few drops of water just to loosen it up a bit.